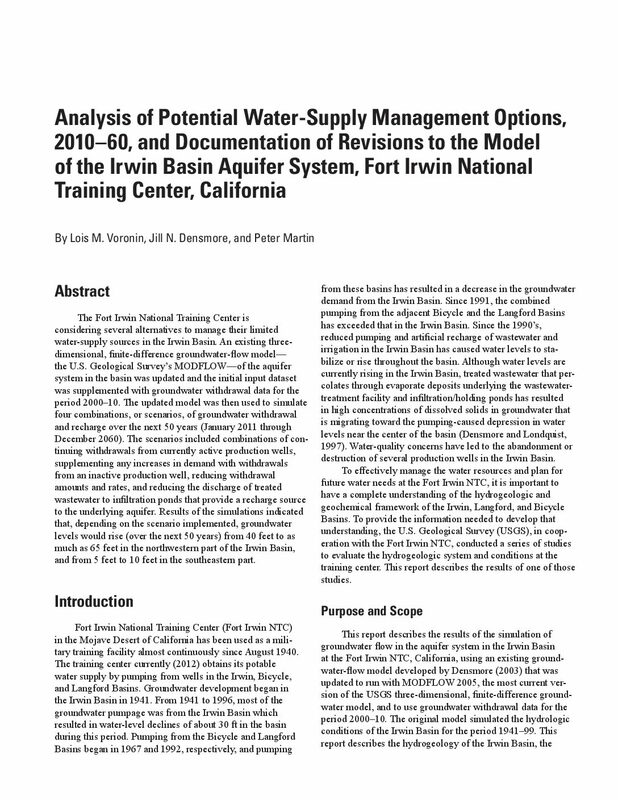 The Fort Irwin National Training Center is considering several alternatives to manage their limited water-supply sources in the Irwin Basin. 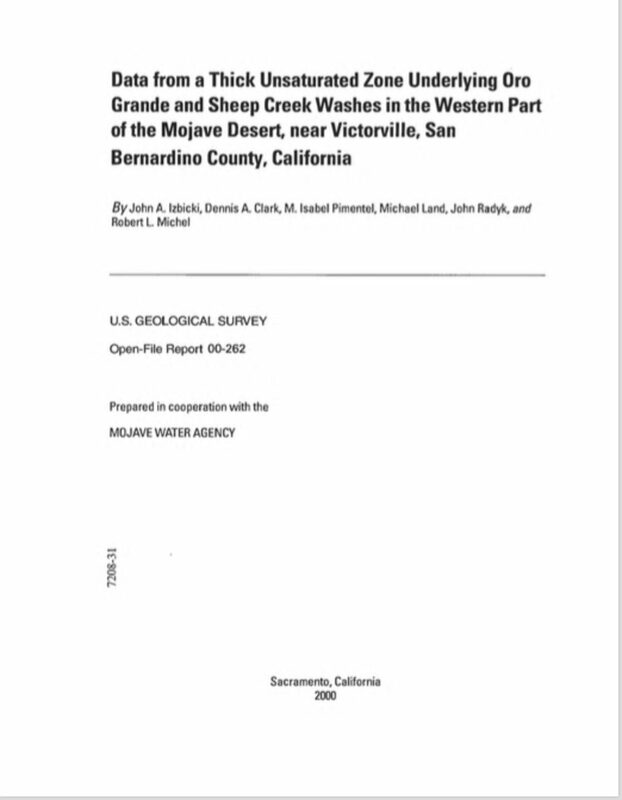 An existing three-dimensional, finite-difference groundwater-flow model—the U.S. Geological Survey’s MOD-FLOW—of the aquifer system in the basin was updated and the initial input dataset was supplemented with groundwater withdrawal data for the period 2000–10. 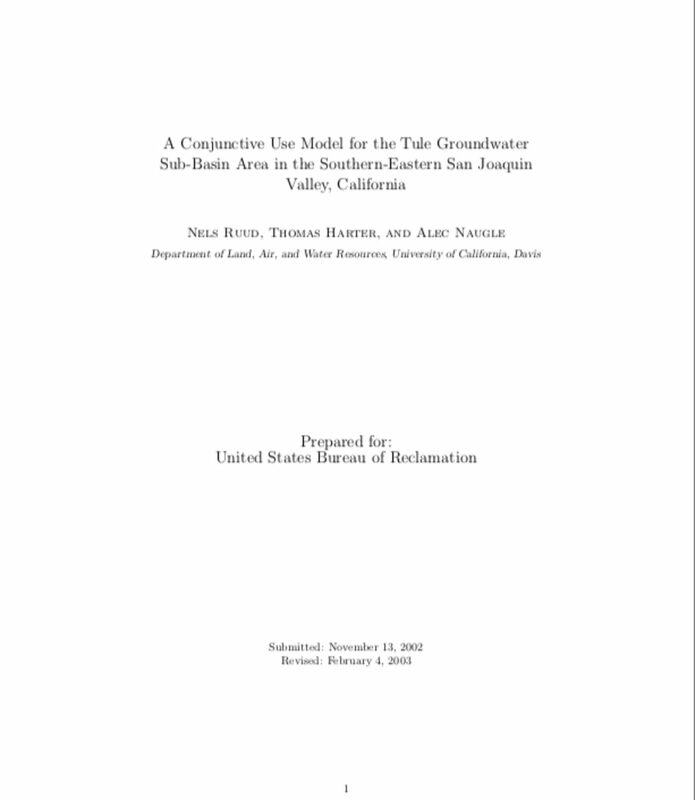 The updated model was then used to simulate four combinations, or scenarios, of groundwater withdrawal and recharge over the next 50 years (January 2011 through December 2060). The scenarios included combinations of continuing withdrawals from currently active production wells, supplementing any increases in demand with withdrawals from an inactive production well, reducing withdrawal amounts and rates, and reducing the discharge of treated wastewater to infiltration ponds that provide a recharge source to the underlying aquifer. Results of the simulations indicated that, depending on the scenario implemented, groundwater levels would rise (over the next 50 years) from 40 feet to as much as 65 feet in the northwestern part of the Irwin Basin, and from 5 feet to 10 feet in the southeastern part. 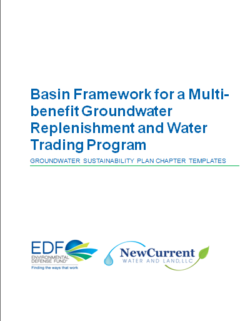 The following Groundwater Sustainability Plan (GSP) chapter templates were developed by Environmental Defense Fund and New Current Water and Land, LLC to assist Groundwater Sustainability Agencies (GSAs) with incorporating multi-benefit replenishment and water trading mechanisms into GSPs. These chapter templates provide an initial framework that can be adapted to reflect regional conditions and objectives. Achieving groundwater sustainability in many overdrafted basins is contingent upon collaboration between landowners/pumpers/operators (“operators”) and GSAs to replenish groundwater. 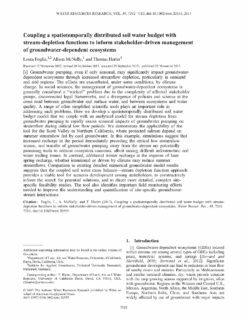 Chapter [X] Multi-Benefit Groundwater Replenishment outlines mechanisms to encourage and incentivize operator engagement in groundwater replenishment projects, with opportunities to pair these efforts with community and natural resource values, such as habitat creation and improved drinking water quality. When properly designed, groundwater trading programs can assist in efficient allocation of scarce resources, while avoiding negative third party impacts. Chapter [Y]: Water Trading provides a framework for implementation of groundwater trading programs as a groundwater management mechanism. 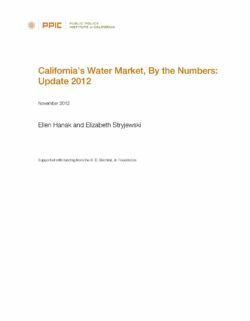 Appendix A. outlines qualifying conditions that allow for streamlined approval of water trades. 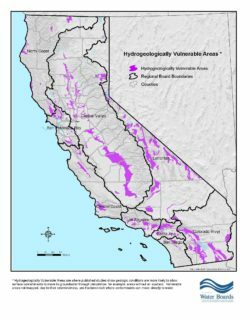 In response to Executive Order D-5-99, State Water Board staff created a map where published hydrogeologic information indicates soil or rock conditions that may be more vulnerable (or susceptible) to groundwater contamination: ”Hydrogeologically Vulnerable Areas.” The map was created due to groundwater concerns over releases of MTBE, primarily from leaking underground storage tank sites. However, areas that are vulnerable to MTBE may also be vulnerable to other contaminants released at the surface. The map was created in 2000 using Department of Water Resources (DWR) and US Geological Survey publications. 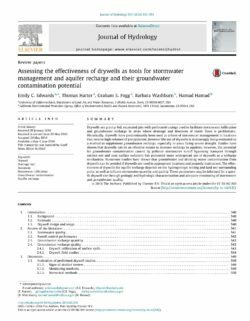 Data from these publications were used to identify areas where geologic conditions are more likely to allow recharge at rates substantially higher than in lower permeability or confined areas of the same groundwater basin. 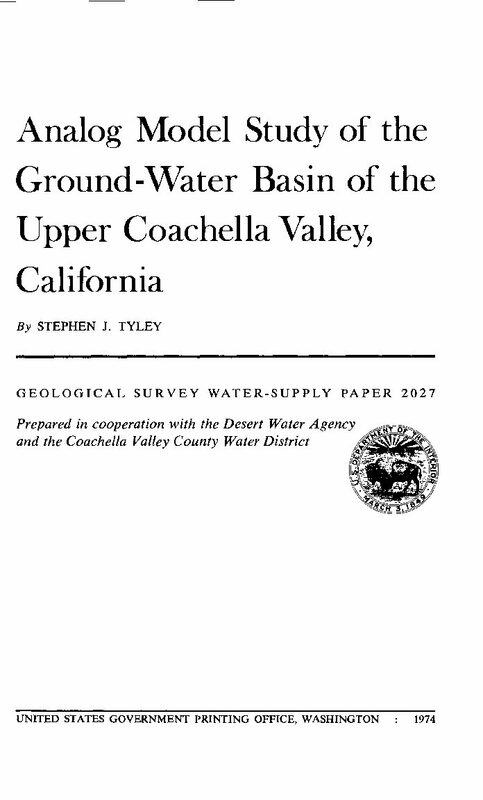 The identified areas are associated by a metadata table (in the following pages) which identifies (1) DWR basin name and number, (2) published source of information (i.e., title, date, author, and appropriate page, figure, table, or plate number), and (3) specific criteria upon which the vulnerability category is based. Groundwater resources underlying designated (i.e., published) recharge, rapid infiltration, or unconfined areas were considered categorically more vulnerable to potential contaminant releases than groundwater underlying areas of slower recharge, lower infiltration rates, or intervening low permeability deposits (i.e., confining layers). 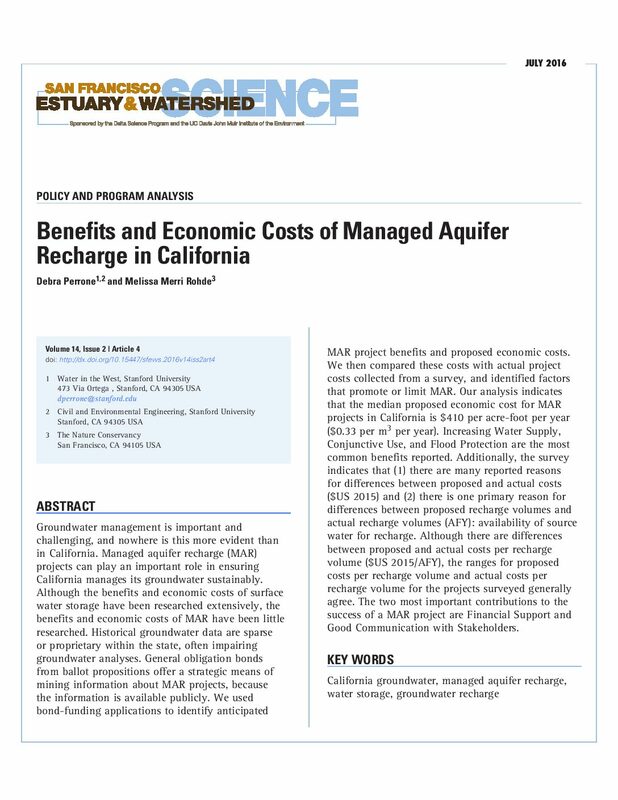 This report provides a check-up on California’s progress with two innovative water management tools: water marketing and groundwater banking. These tools are part of a modern approach that will enable California to manage its scarce water resources more flexibly and sustainably.